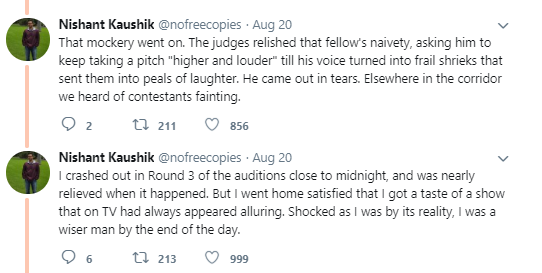 A huge crowd puller television shows are Reality shows, which are not real at all, reveals a former participant from the 2012 Indian Idol, Nishant Kaushik on his twitter handle. Despite being one of the most watched reality shows on television, many viewers condemned the show for cashing in on sob stories to muster TRPs. 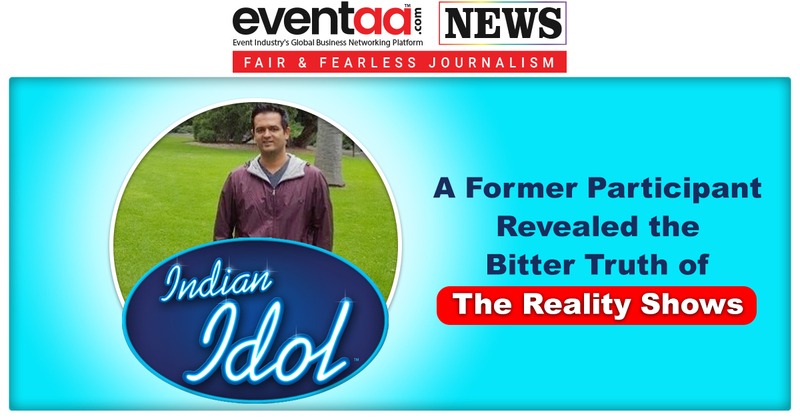 Recently, a former participant from the 2012 Indian Idol, Nishant Kaushik (a music reality show, currently in its 10th season, which attempts to find the best singing talents in the country), spoke about his bad experiences on the show, while he competed among hundreds of other contestants for the top spot. 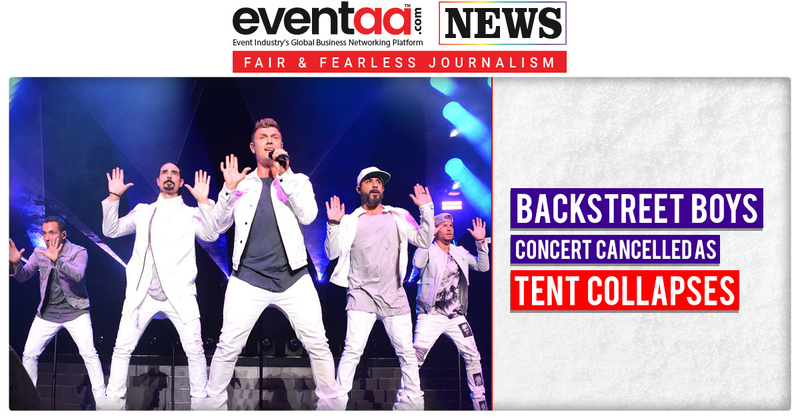 Nishant Kaushik openly confessed that the show was a platform which successfully crushes dreams of upcoming talents rather than honing their skills in music. 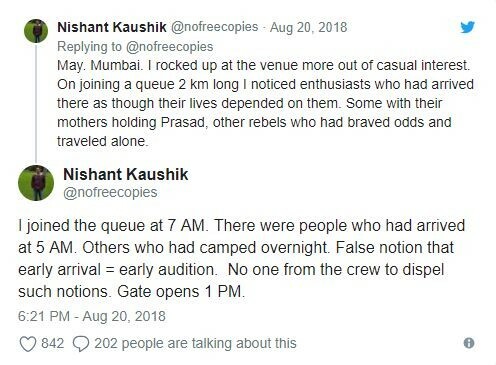 He recounted how he had witnessed a two kilometer-long queue when he had gone for the Mumbai auditions being held at a school playground. He said he joined the waiting line at 7 am and to his surprise, some people had not only arrived before him, but some had camped at the spot overnight for a chance to audition first. 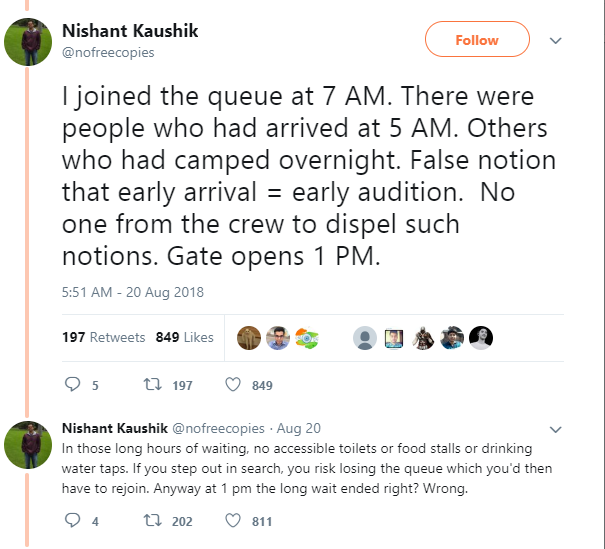 Finally, when the venue opened at 1 pm, the aspiring contestants entered the grounds only to discover that there were no basic arrangements made for toilets or drinking water at the place. Food stalls were also not set up anywhere. Despite that, people continued waiting in the line, scared that leaving the queue would cost them an opportunity. 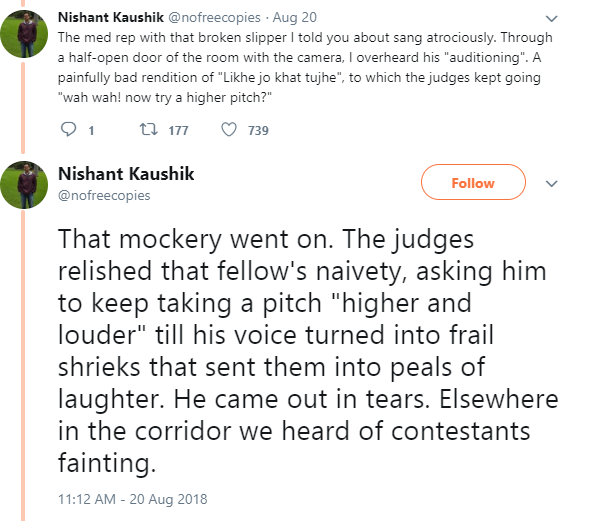 Kaushik goes on to describe how the crowd was called towards a stage set up on the grounds, while the "vulture"-like camera crew urged them to cheer on for the ex-contestant on stage, who was allegedly lip-syncing to a song. The crew had even chosen a select few from the aspirants for mouth-scripted lines, giving them the bait of early auditions, which never actually happened. 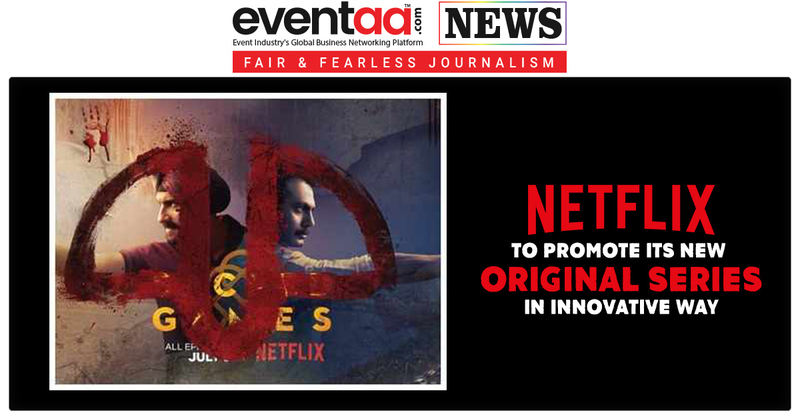 The 'events' went on till 8 pm at night without any hint of auditions. This irked a particular contestant who got up to inquire where the judges were. That was apparently when a crew member came charging towards the man and slapped him before thousands. The members consequently got into a brawl with the contestant and he was asked to leave. Then the crew started selecting people at random to sing for the cameras. The ones who sang poorly were whisked away to the audition rooms for the judges to mock them. This had become so traumatic, Kaushik claims that one of them broke down. Evicted by the third round of auditions that year, Kaushik says he was more than glad to leave the show. He even mentioned that the people hired to dismantle the sets on Indian Idol, werealsoamong the victims to crew members harassment. He questioned the dignity of such shows and urged aspirants to never depend on validation from such TRP-oriented reality shows. Former Indian Idol host Mini Mathur has responded to Nishant Kaushik’s claims on Twitter. Surprisingly, the former host also agreed to the allegations made by Kaushik in his series of Twitter posts.